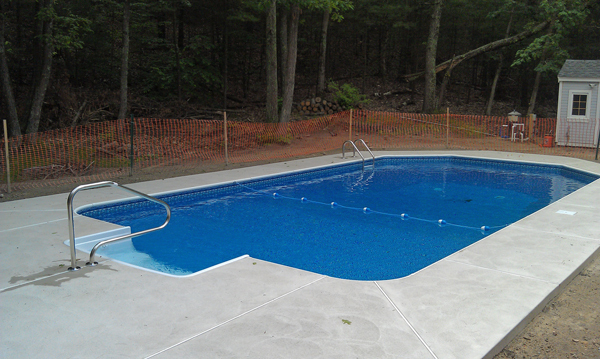 NH Swimming Pools, Installation and Repairs | Daigle Pool Servicing Co.
A swimming pool is easy to sell, because everyone wants one. 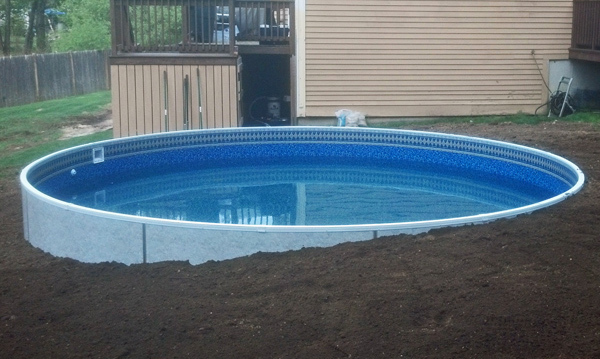 Installing an in-ground swimming pool is a big event. It represents a significant investment in time and money, but it is something that homeowners place a high value on. 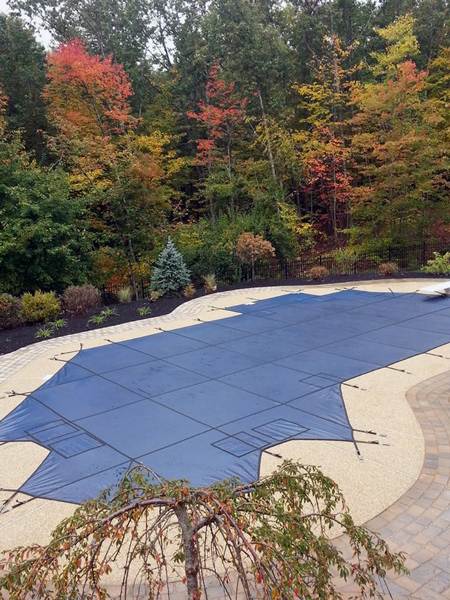 Pool companies in southern New Hampshire and northern Massachusetts have a notorious reputation for not delivering on their promises. Construction projects that drag on longer than they should, poor communication, and hidden charges are a few of the complaints we hear about our competitors. What all these problems have in common is that most pool companies are selling pools as a product, not offering pool services. To limit the use of sub-contractors. Daigle Pool Servicing Co. uses our own employees to do above- ground and in-ground pool installations, pool liner replacements, pool safety cover installations and servicing of pool equipment. The only subcontractors that we employ in our pool construction projects are excavation contractors, electricians, and pool deck contractors. Best prices and products. To offer the best prices and the best products, and stand behind them 100%. To have the best warranties in the pool industry, you have to install the best pool products. Our exclusive dealership status with some of the best brands in the pool industry allows us to offer these professional pool products at near wholesale prices. We offer quality swimming pools including in-ground pools, above-ground pools and pool products. Our well-trained, experienced in-house installation crews help us to keep costs down by not paying subcontractors. Because we know the quality of the work performed, we are confident to honor not only manufacturer warranties but exclusive warranties available only through Daigle Servicing Company. To provide continuing customer support. We didn’t start out as a construction company. In the beginning, Daigle Servicing performed more pool maintenance and pool product services than pool installations and pool liner replacements. 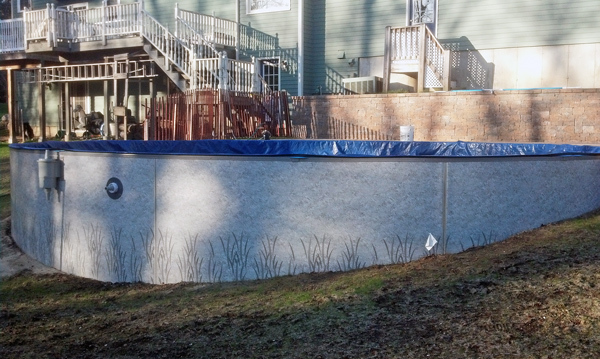 We incorporated every aspect of maintenance and service to teach our customers how to maintain their own pool. From free in-store pool water balancing services, to pool school, or servicing all the equipment we install - our customers always know we are just a phone call away. Water chemistry is probably the most important aspect of owning a swimming pool. Proper water chemistry protects your liner and filter equipment. Most of all it protects us as swimmers. The clearest pool in most cases is the pool that is most out of balance. Alkalinity – Buffers the PH, holds it more steady. PH – When levels are low, this is acidic. This can cause skin and eye irritation and is harmful to filter components. Calcium – When it’s out of balance it will cause your liner to become hard and brittle cutting life expectancy down. Stabilizer / Conditioner – It holds chlorine molecules from being dissipated by the sun. Proper stabilizer/ conditioner levels can cut your chlorine consumption in half! There are a variety of home test kits such as dip and read strips as well as vials with reagent droppers. When testing your water always be sure to reach elbow deep for your sample. The surface water is typically warmer and somewhat stagnant. Always remember to size up your test results on a white back drop and away from the sun. Remember these home test strips are to help you be close to optimal levels. It is very important to bring your water into the store once a month to acquire accurate readings. They did a pool inspection. They are great and have good customer service and are honest. Kathleen M.